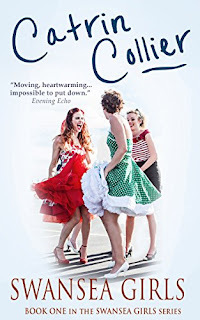 I'm researching for another novel at the moment. This time, it is partly based in Swansea. 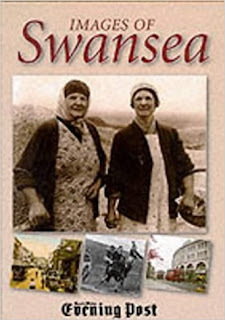 Swansea, a town in south Wales, is a place I used to know well because my family used to go there every summer (and at other times too) to visit my grandmother who lived there. Because I was a child when we went to visit, there are some parts of the town I feel I know very well, other parts are hazy - it's like joining the dots between memories. Looking at it afresh now, travelling virtually along the roads I used to know on Streetview, I am struck by how beautiful the place is - around every corner is a view of mountains or the sea. It makes me want to go back there. For instance, I remember my grandmother's house. It was on one of the main roads out of the town up a steep hill, and looking on Streetview, I can see that this road is indeed as steep as I remember it to be, but also much more narrow. There are trees and hedges, and the place looks much more rural than I remember. Another significant feature of my childhood was an ice-cream parlour near the sea-front called Joe's. This sold sundaes in tall jars, including the magnificent' nut sundae'. I once ate two of these in quick succession, little piglet that I was.Reading through 'Swansea's Frontline Kids' by Jim Owen I learn that the windows of this ice-cream parlour were smashed by stones when Italy joined on the side of Germany in World War Two, but Joe Cascarini offered free ice-cream all round on Victory in Europe Day). Then there was the wide beach, that was only sandy when the tide was in. 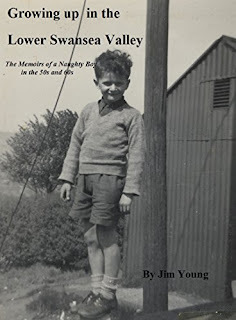 When it went out we had to trudge through a darky grey sludgy mud. 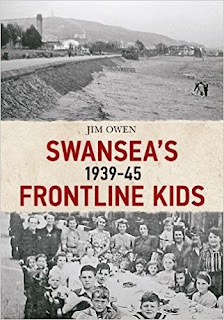 This, Frontline Kids reveals, had pillboxes and poles in the sand during the war and was sometimes out of bounds. Then there was the town centre with its stub of a Norman castle and shops all around. This, apart from the castle, was all new. 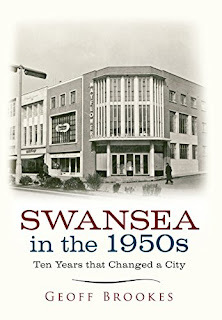 The original shops, including the town's main department store, was completely razed to the ground during Swansea's three-day blitz in 1941. 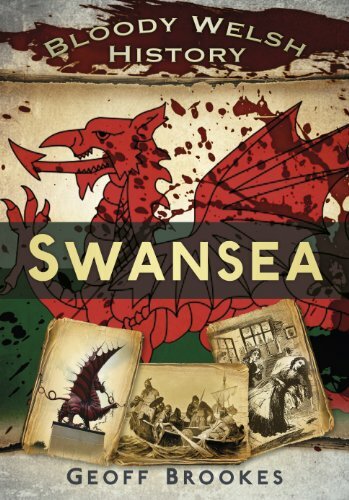 Images of Swansea, compiled by the South Wales Evening Post, show this devastation when it was still raw. The smoking ruin of Ben Evans' department store; the steel skeleton, which was all that remained of the market building, and the mounds and mounds of rubble. 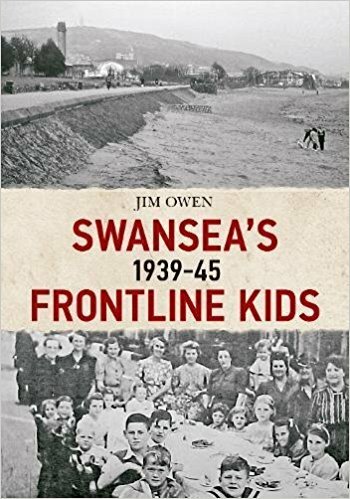 I am now reading Swansea in the 1950s by Geoff Brookes. 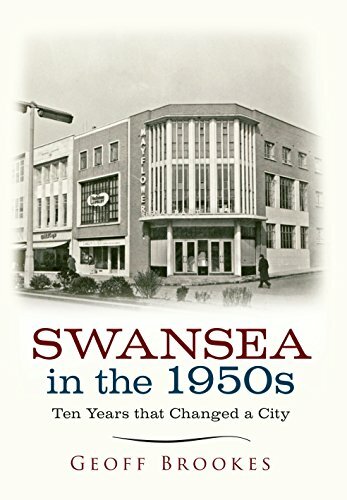 This, no doubt, will reveal to me how this shell of a town centre became the modern city centre I knew when I was a child in the 1960s and 1970s. 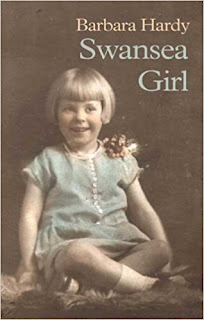 and 'Swansea Girl' by Barbara Hardy, which is a memoir of an academic who was born, I think, between the wars.